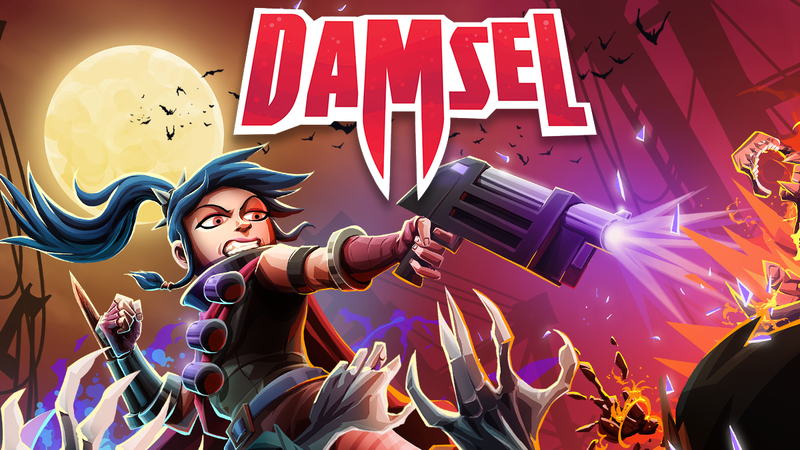 Damsel is the first major game from Screwtape Studios. After releasing several mobile titles, the team decided that bigger screen gaming is where their hearts lie. We set out to create a platformer that would trigger our nostalgia for the classic PC action games we played growing up, and in the process have created something that is at once uniquely our own, but with a visible, comforting, DNA. Comic Book Campaign Learn the secrets of Red Mist and put a stop to their evil plans. Competitive Arcade Leaderboards Master your abilities by perfecting your runs and become the top agent. Chill Out Time Chillout mode lets you take the edge off and enjoy the game without worrying about pesky things like dying. Extra challenge modes For the discerning slayer, take the difficulty up a notch! Pumping Synth Soundtrack Gothic grooves to slay too! "The first thing you notice with Damsel is the art and animation. It is smooth, it is fluid and it is beautiful." "The game is a Valhalla for speed running fans and completionists..."
"OK Games video Interview at PAX Australia 2016"
"Pixel Sift Video Interview from PAX Australia 2016"
More information on Screwtape Studios, our logo & relevant media are available here.